The Times reports that the funding comes from a €3 million war chest funding 84 projects across the European Union (EU) which aim to “reach out to citizens who reject or put in question the EU and its achievements or remain indifferent”. Projects are funded if they promise to “challenge Euroscepticism”, “foster a sense of belonging” to the union, educate citizens on “the benefits” of membership, and promote “integration” and “political cohesion” across the bloc. 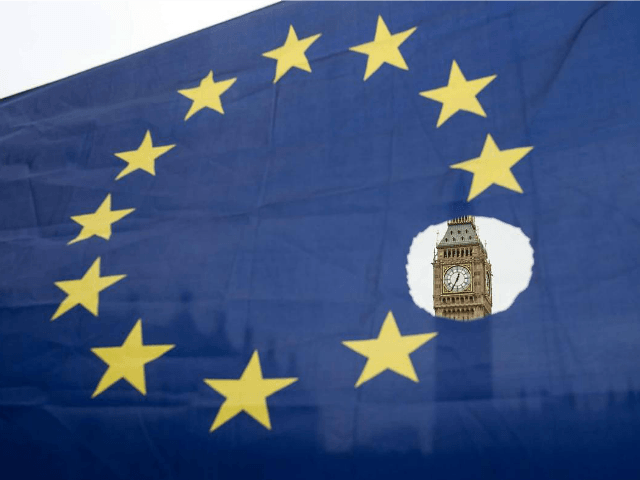 The fighting fund — which is sponsoring projects aimed at making the public “understand the cost of not being part of the EU” — was created in December to ward off populism and Euroscepticism after Britain voted to leave the bloc in June. Ten of the projects being backed by the Commission directly involve Britain, mostly through local councils, with funding totalling €539,250 this year, according to The Times. The successful bid for a project involving Witham, Essex — worth €14,500 — aims to challenge not only “increasing Euroscepticism”, but also the “results of the British referendum on possible EU exit”, and seeks “ways in which the current European political situation can be preserved”. Another operation being funded to the tune of €14,500 — taking place in Hertsmere, Hertfordshire — announces the project as “give EUROPA a chance . . . against Euroscepticism, which ranges from the simple Eurocritic to complete Europhobia”. One project in Wales, worth €150,000, warned that Brexit had “jeopardised the fundamental structure of the EU”, and that “Euroscepticism is on the rise” with “phenomena like ignorance towards European programmes”. “We hope to change negatively the level of Euroscepticism on national and international levels and to present the great opportunities and benefits of the EU to its citizens,” states the project’s successful funding application. The projects aimed at chaining Britain to Brussels have been blasted by Brexit campaigners and Eurosceptics, with UKIP MEP Patrick O’Flynn telling The Times: “Taxpayers have already decided they wish to leave.